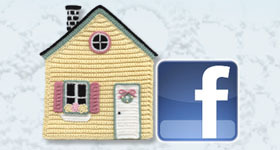 ← Happy National Crochet Month! For the past 2-3 months, I’ve been working very hard to fine-tune the pattern for my newest crochet pattern, “Mom’s Favorite Baby Blanket”! I enlisted the help of 4 pattern testers on Ravelry and their input was “invaluable”!!! They made great suggestions for improving the pattern and making it easier to understand, since the construction for this blanket is not your “typical” crochet construction! If you’ve read anything about this pattern, you’ll know that I designed this pattern last year after my mom passed away. She had a favorite baby blanket pattern that she liked to make for new babies in the family. It was from a kit and was worked in 7 strips with 19 motifs in each strip. That made for a lot of seaming and tons of ends to weave in (7 x 19 x 2 = 266 + 2 ends for the edging = 268 ends)! Who wants to weave in that many ends, let alone sew strips together with 19 separate ends (so the colors would match)? Not me! My redesigned baby blanket still contains 7 motifs in each section and 19 sections of motifs. 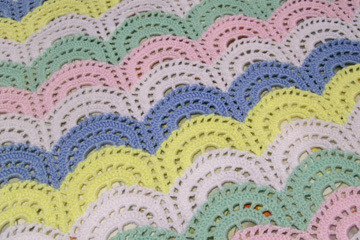 However, there are NO strips to crochet and NO seaming to be done in this new baby blanket design! There are only 38 ends + 2 ends for the edging (= 40 ends total) to weave in on the whole baby blanket! This is a HUGE improvement from 268 ends, don’t you think? That’s an 85% savings on ends, which translates to lots of time saved and leaves more time for crocheting! Yea!!! I used DK/light worsted weight yarn for my baby blanket, which came out to be 34” wide x 48” high. Yours can be made wider and/or higher, if desired, by following the instructions for resizing the blanket. 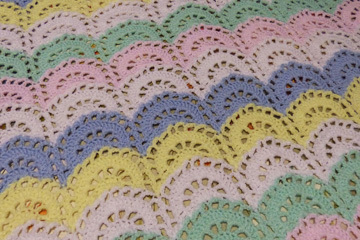 The blanket is made with basic crochet stitches: chains, double crochets, single crochets and slip stitches. The pattern includes 2 symbol crochet charts: one for right-handed and one for left-handed crocheters. 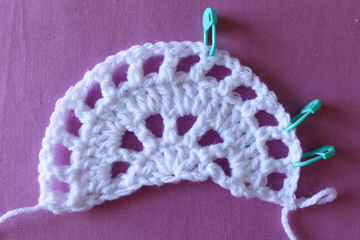 The instructions include the appropriate differences for right-handed and left-handed crocheters, as well. With the help and suggestions from my pattern testers, I decided to take lots of step-by-step photos for this pattern, to help YOU be successful! I think we all know how time-consuming photos can be, but I really think they were needed in this pattern, since the construction is different than most other crochet patterns! With all of the additional photos, the pattern is now 30 pages long! I know what you’re thinking! That’s too many pages to print out without using a ton of ink/toner! But have no fear! Included in every purchase is a shorter 14-page pattern with a few photos, the full written pattern and the symbol crochet charts, but without the additional step-by-step photos for printing. Both pdfs (the 30-page version and the 14-page version) are available for download with purchase of the pattern. Because of the extensive step-by-step tutorial photos in this pattern, I’m charging a little bit more than my usual patterns. 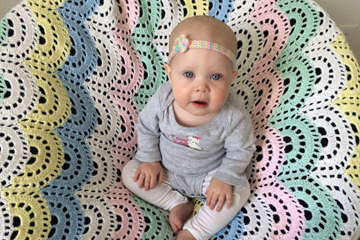 I think you’ll find this small increase is well worth it in terms of you being successful in crocheting this baby blanket for your favorite little one! This pattern would also work equally as well for a full-size afghan! Just follow the instructions for changing the size of the blanket and use whatever weight yarn and an appropriate size crochet hook you desire! The pattern with the 2 pdfs, including 2 symbol crochet charts, complete written instructions and over 90 step-by-step photos, is available for purchase for just $6.95 here. If you’re ever stuck on something in the pattern for any reason, please send me a message on my website, on Ravelry (I’m “crochetarchitect” on Ravelry) or through Facebook and ask for help. I’m happy to help anyone with questions about my patterns! If you purchase this pattern and make the baby blanket, I’d love to know what you think about the additional photos! And I’d love to see photos of your finished baby blankets from this pattern, as well! I hope you’ve enjoyed this look at my “Mom’s Favorite Baby Blanket” pattern. 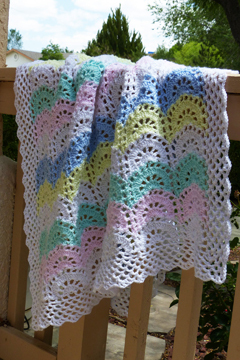 This entry was posted in Baby blanket, Crochet for baby and tagged baby blanket, baby crochet patterns. Bookmark the permalink.